N.E.K. is Ex Out of Touch/current CFDL hyper-jumping drummer! Naichin and ex-NOMARES forgetten early days rebelliousness has been brought back by 3 burning Brazilian punks to bring a mix of Japan and Brazil. For those who like 80's Brazilian and Latin HC. A kick in the face of high tension raw crossover thrashcore. ADA-MAX is ex-Flash Gordon. Like a fusion between Demented Are Go and the Accused, total splatter psycho, crossover HC. 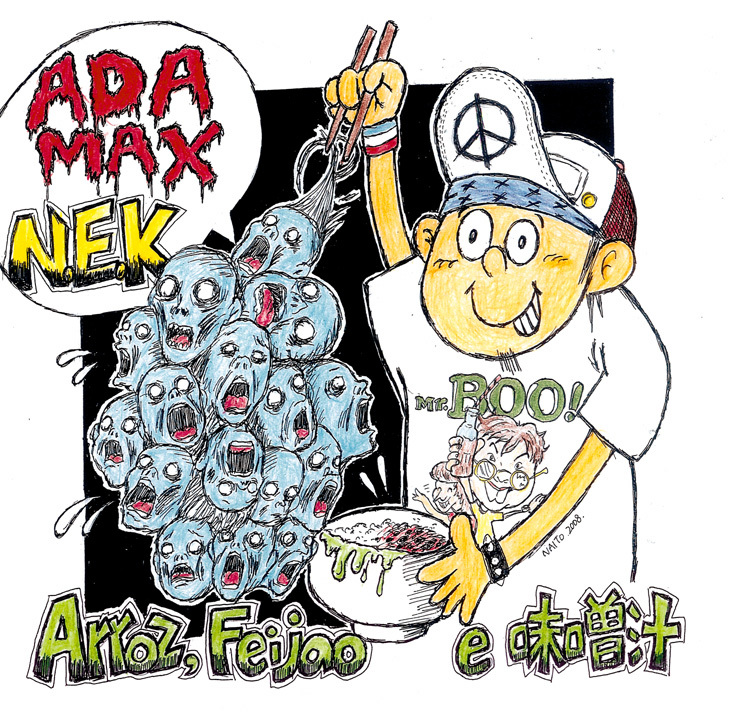 The title is a mix of Brazilian and Japanese, Arroz,Feijao e(beans, uncooked rice) Misoshiru (miso soup), meant as a fusion of the two cultures.